Can Dr Le-Las help you? Experienced planning consultant Dr Wendy Le-Las could help you protect your environment. 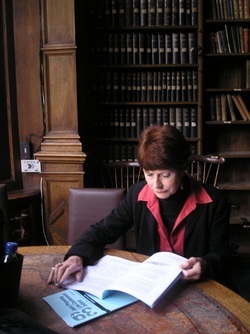 For over twenty years Dr Le-Las has represented the interests of parish councils and community groups in environmental disputes. As a planning consultant, she has dealt with Development Plans, Local Plans, Neighbourhood Plans, Development Control including Enforcement, Appeals, Call-ins, the High Court, and the Ombudsman. Dr Le-Las strives to only take on cases that she believes have at least an even chance of success. If a case does not appear to be founded on good planning grounds, she will decline to take it. If Dr Le-Las thinks you have a case, she will do everything possible to make it happen. Her breadth of knowledge covers subjects ranging from housing, retail, transport, tourism, sports and leisure, energy & waste, and intensive agriculture. She has published several books and articles on the planning system, drawing on her vast experience in planning consultancy. If you or your community are faced with an environmental problem, contact Dr. Le-Las and see how she could help.